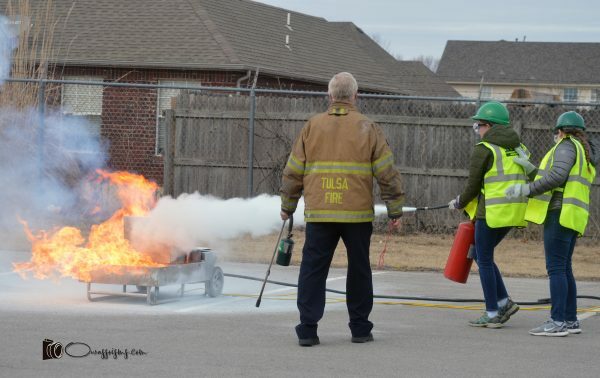 Students participated in medical, fire training and worked on how to help out if a tornado hit the school. They learned how to help treat patients, and evaluate which patients would need help first. We watched as the students triaged patients and learned the use of fire extinguishers and how to use them safely and effectively. Teacher Shannon Chatwin led the program and said the skills could mean the difference between life and death, whether it’s a tornado or a school shooting. Teachers often have 30 students in a classroom. Extra help like this could save lives. Ms. Chawin said the school plans to offer the training again next year.